Asian gardens are frequently enhanced by a pagoda-shaped outdoor seating area. 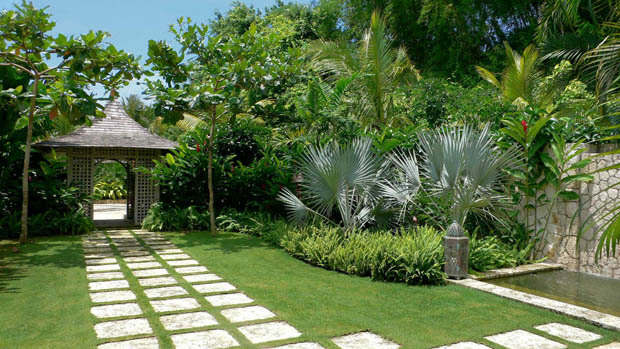 Use stepping-stones, gravel or brick to create a walkway to the pagoda. Surround your garden with exotic plants.